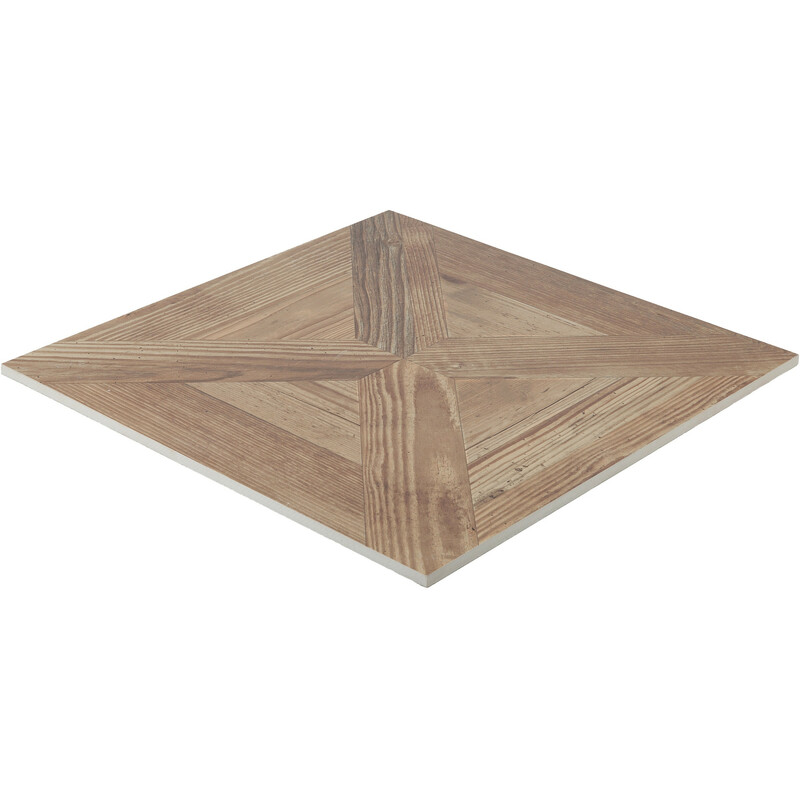 The "Vintage Abete" tile, with its wooden look, is made of glazed porcelain stoneware and produced with the latest decorative techniques, enabling a natural wood imitation with an almost flawless appearance, in which the layperson can no longer discern any difference from an authentic wood product. 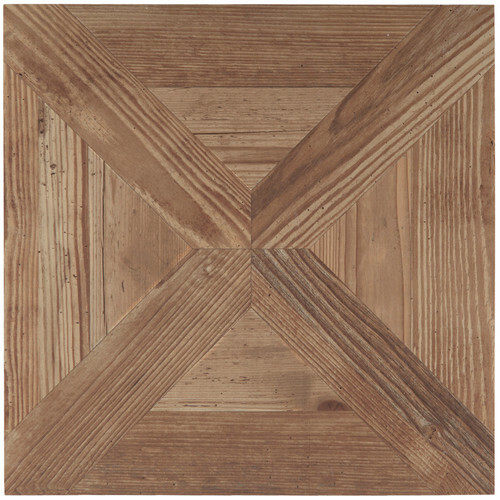 The two geometric patterns in the tile -- cruciform and parallel strips -- reproduce the genuine wooden strips, evoking typical antique craftsmanship. The Italian manufacturer Settecento delivers the Vintage Abete 165001 porcelain stoneware tile from the Vintage series in a square shape with dimensions of 47.8 x 47.8 cm and a thickness of 10 mm in the colour "Abete" and a matte/textured finish. This tile is rectified. After the burning process, it is finished by machine, resulting in a uniform size with 90° edges. 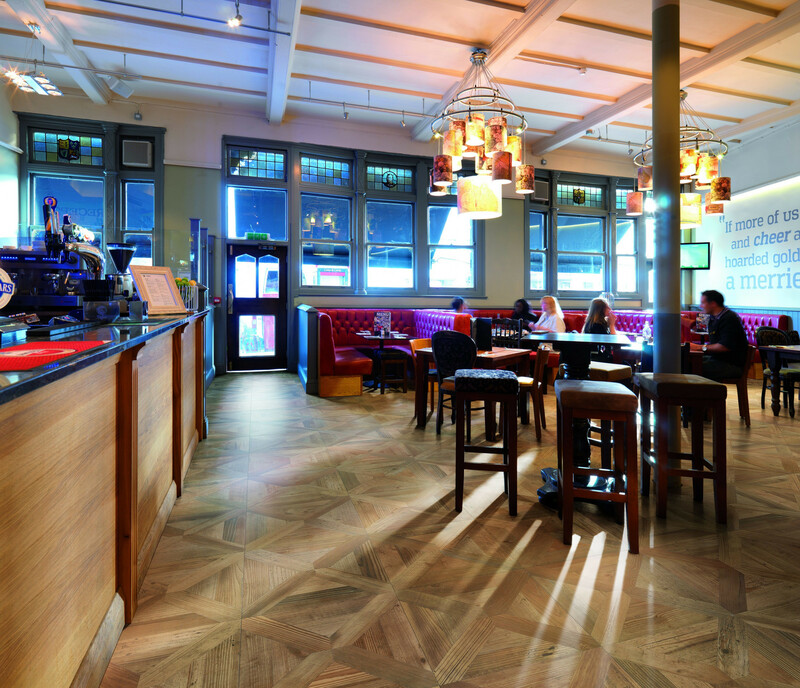 As a floor tile, this porcelain stoneware features a slip resistance of class R9 and friction of class 4, making it suitable for normal shoes and all private living areas. 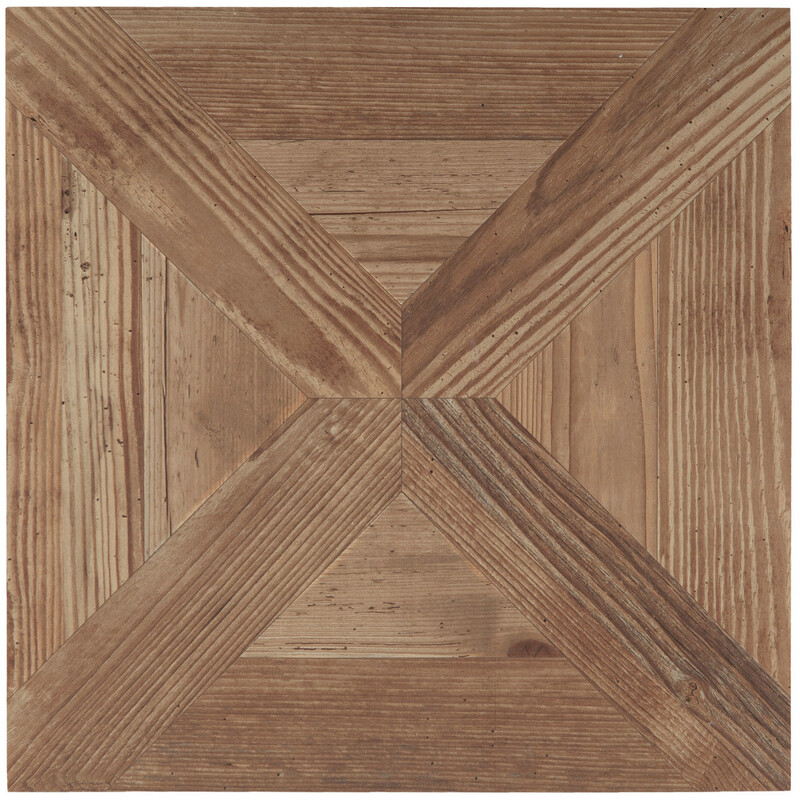 The frost-resistant Vintage Abete tile is suitable for both walls and floors. The "frost-proof" designation applies to outdoor areas; however, we recommend a drainage mat for controlled run-off of the thawed water, as otherwise the water cannot drain and frost damage can occur. Tip: in principle, any floor tile is suitable for a floor heating system. This high-quality product is available at our "Berliner Fliesenmarkt" Berlin tile exhibition in Charlottenburg, or here in our online shop, "berlinerfliesenmarkt.de".